Recently there has been so much negativity surrounding blogging. Nasty comments and petty bitchiness (pardon my french, but there really is no other way to put it!). So I thought what better way to stick a finger up the haters, than create a series about all the lovely blogs out there & share the love! We are here to encourage and support each other, not put people down with unnecessary comments, that aint’ big & certainly aint clever! So now that I have got that of my chest, let’s crack on with spreading a-bit of love! This week, let me introduce you to the lovely Francesca! I met Francesca through blogging & twitter, but recently had the pleasure of meeting her in the flesh! Myself, Francesca and a few other lovely girls met before the North Meet Up & I instantly felt at ease. She’s so lovely & definitely the perfect candidate for my first week of spreading the love! Now, I’ll hand it over to Francesca to introduce herself & answer some questions to help you all get to know her better. Hello! Well, where do I start? 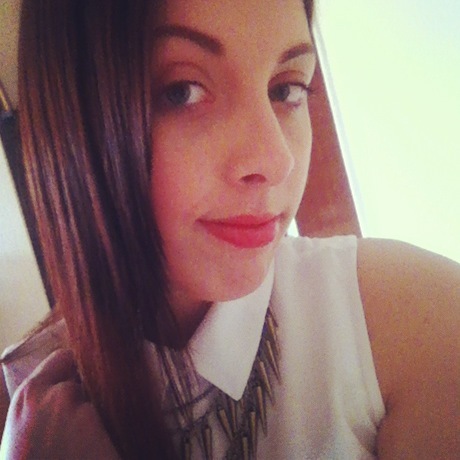 My name is Francesca and I’m a 23 year old beauty and fashion blogger from Manchester! I’m also a yummy mummy of one little three year old girl called Isabella! As you’ve probably noticed if you’ve read my blog I am a Christian and I am at church regularly taking part in youth groups, puppets etc. I work part time at morrisons whilst I study from home, I’m taking a course with the open university which is criminology and psychological studies. It’s hard but if it gets me a better and more stable job then it’s worth it! In my spare time I like to spend time with my daughter and boyfriend, obviously shopping and spending time out with my friends! Why did you start blogging? At first I was just reading other girls blogs and I loved them so much I decided I start my own, at first I didn’t think it would go anywhere and that it would just be something small, but I was soon addicted. And I mean addicted, I love my blog now and couldn’t imagine ever not writing it! What is the best thing about blogging? I think to me the best thing about blogging is the lovely girls that I get to talk to and meet! I also love the fact that its given me so much confidence in myself that people actually want to read why I write! I love all my readers and followers! What do you find most difficult about blogging? I sometimes find it hard to keep up, I have such a busy schedule with my daughter, work, study and church I sometimes have no time! Other than that I love it! What is your biggest motivation to blog? My motivation is myself! I love blogging and I just do it whenever and about whatever I want! And also reading other blogs for inspiration! What is your best beauty/style tip? hmm let me think! I think style tip would be shop less wear more! As Gok-Wan says! It’s so true though, there are so many hidden treasure amongst the clothes you already have! You don’t need to spend so much money to look good and dress well! Also shop for your shape, it’s so important! As for beauty, once again less is more! Always look after the skin you have under your makeup, otherwise your skin and beauty will suffer! 1 – My foundation and concealer! At the moment it’s rimmel wake me up! 2 – My cleanser and make up remover – vital to get rid of make up and cleanse before bed! Any advice/tips for future bloggers? I think my only advice is be yourself, and always blog for you! Don’t do it to impress anyone, you have to want to do it and love it! It can be so rewarding! Also don’t worry about followers, they will come as you blog more! 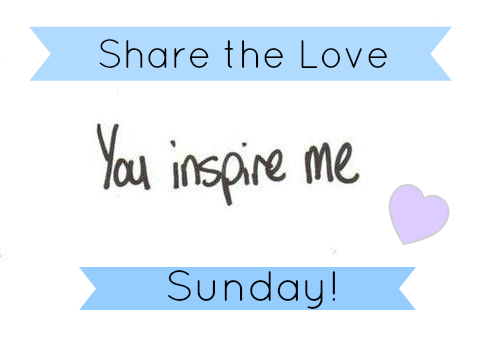 Who is your inspiration/role model? I think my inspiration was all the other blogs I started reading, mainly an old friend of mine Charlotte Elizabeth who runs confessions of a small town girl! She was my first follower! Tags: Blogs., Share the Love. great way to get some more positivity into blogging! way too much negativity goes around!